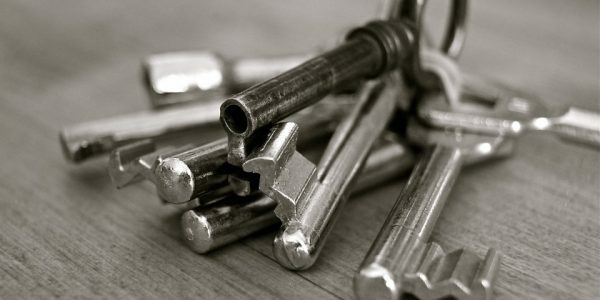 What’s the key to Denver SEO? There are many and I could talk for hours on just this topic but here for the sake of providing our Denver visitors some serious value we will cover some essentials that you will need if your Denver company is going to rank its pages in the local SERPS and keep the new Denver businesses and the intense competition that comes with it at bay. This is the first step and honestly it’s the most important step in the SEO process. This research determines what keywords you will be targeting with each page of your website. It’s imperative that you understand what kind of search volume your working with before starting a campaign so that you can do a thorough cost-benefit analysis before your Denver SEO agency can even begin their work. This will save you a ton of time in the long run. If a keyword isn’t going to drive any traffic then why waste your time. Schema is how Google knows what your page is about. It allows you to embed structured data on your website and in many cases Google is actually using this data to show searchers as well. You can use Google’s resource for building out your schema markup. I highly recommend checking it out as many tools that are aren’t as good cost money. Make sure that your research extends into this area as well. I like Ahrefs for long tail and keyword phrase data along with the suggestions that Google gives me when I perform a search for my keywords. Having these keywords within your content will help you rank for those keywords and your main keyword. Basically it’s a win-win. Your title tag tells the searcher what your page is about. The first word for our agency is Denver SEO since that’s the topic of the page. Use your main keyword and be sure to work hard to create a more compelling title than your competitor. Your likelihood of getting that click just went up because you’re giving the visitor what they want, like in our case, relevant information on Denver SEO basics. Effective communication between the SERPS and your webpage is the ultimate influencer for organic traffic generation. This will take some work and creative writing. Make your your meta description has your keywords and related keywords in it. Also, use great writing here to increase the likelihood of getting that click. It’s not as powerful as the title tag in this sense but users still look at this content. You can throw in a phone number for a quick call to action or even a well written message to get those discerning visitors to click thru. There are plenty of great benefits that the SEO basics can provide you. If you’re looking to grow your business then search engine optimization could be the perfect compliment to your already established business. Your H1 tag is super important for your on-page SEO essentials. It’s one of the top on-page changes you can make, right behind your title tag in my opinion. Ours is Denver SEO since it’s the root of our main keywords for this page. It tells Google that our page is about Denver SEO and it can also create a reason for your visitor to keep reading your content through to the end. If they’re in the need for a Denver SEO consultant then they’re in the right place. This is a delicate balance but a well crafted H1 tag can pay off handsomely. Your H1 tag (remember our Denver SEO example) is important but don’t forget about adding your H2 and H3 tags to impact the reader. These tags help to break up your content into well thought out chunks and make it more visually digestible. Having long form content that is easily digestible is a great way to increase your time on page. These headers also have an impact on your on-page SEO essentials so use them effectively. Try to include your keywords where it makes sense including those keyword phrases and even long tail keywords. This will help your page in the SERPS. No matter how long you make a piece of content you can’t effectively expound on each and every idea in it and effectively stick to your topic. This is what outbound links are for and frankly it’s what the web was built on. So go out there, create great content and give credit where credit is due. You and your content will be rewarded. Your visitors will thank you as well. Those wanting information on Denver SEO may not want to see information on the Denver Broncos, but it could very well be relevant to what’s written on your page. It’s okay to link out folks. Forget about your page losing any value from this. The only thing you gain here is user appreciation and rankings. If you’re creating great content then you should be linking to it, right? Exactly. Give yourself credit where it’s due by linking over to your most valuable pages from within your content. Google will reward your content and your website by giving it the credit it deserves. If you don’t have any great content to link to within your website then you definitely need to start creating it. This is becoming a larger part of the algorithm by the day. We’ve worked hard to create valuable content for our Denver SEO visitors and potential customers. RankBrain is powerful and fast moving. Google is getting closer to success with this by valuing great content where credit is due. I can tell you that this is important for on-page SEO essentials as well as CTR. When a searcher is looking at the options on a page full of search results your URL will stand out. I’ve tested this many times. As the SEO Denver trusts I can tell you that it can make a huge difference in your click thru rate from the SERPS. If you’re creating a landing page or a blog post you should pay attention to the SEO essentials and make sure your URL has your main keyword in it. It will help you rank for your main terms and it will help you convey the value of that potential click for anyone that’s looking at another nine plus options on that page that don’t contain that main keyword.